The Hoshizaki IM-65NE-LM produces a unique large cubed ice, measuring 48 x 48 x 58 (mm). It has been tailored for mixologists and cocktail bars that want to stand out from the crowd and add to the specialist drink experience. 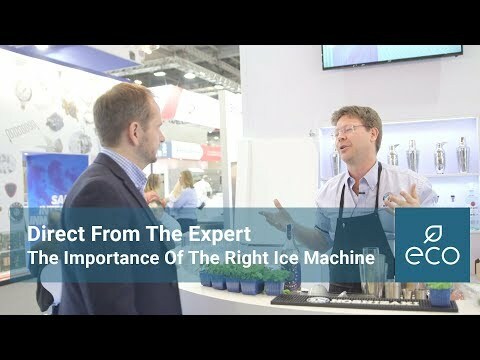 However, it’s not all about show, using Hoshizaki’s unique ice making process the cube retains its integrity keeping the drink cold without diluting it. The IM-65NE-LM is a self-contained unit, reducing the space required and floor space taken.